Stainless steel, light, elegant and mighty efficient. 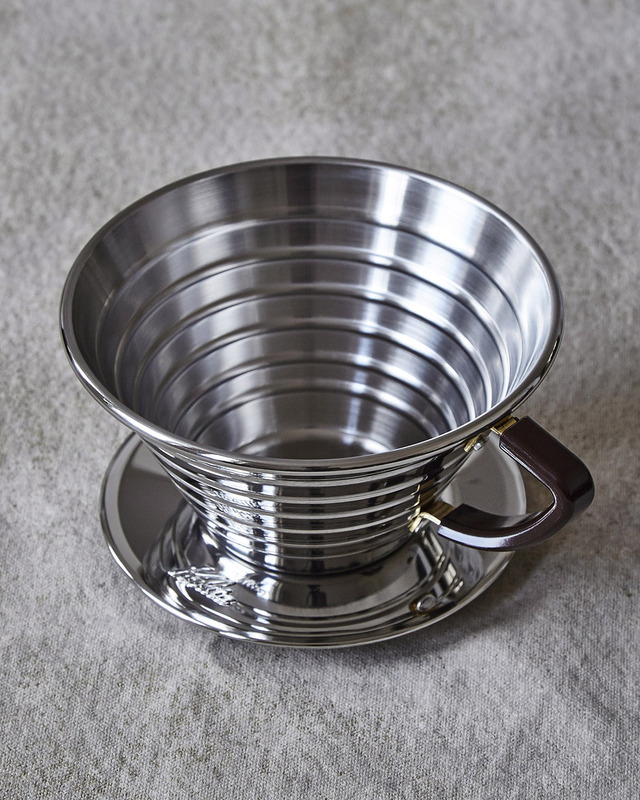 Delivers fabulous pour-over coffee into a mug or into the Kalita Glass Server. 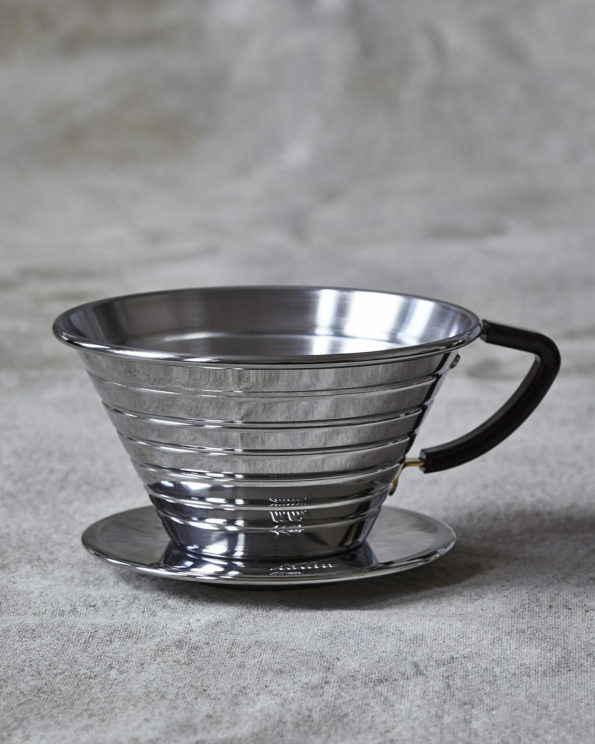 Use with Kalita Wave 185 filter papers.